What follows is a special edition of INTL BLK Radio Show, hosted by long time collaborator and friend Boima Tucker aka Chief Boima. The show is centered around musics and musical trajectories of the northern coast of Colombia, focusing in particular on the cities of Barranquilla and Cartagena. This episode celebrates the release of Guarapo! Forty Bangers from Barranquilla, a compilation of Colombian Guarapo put together by Jim C. Nedd and Palm Wine for Honest Jon’s records. You can listen to the show below and read through the transcripts of Boima’s word. Enjoy. Welcome to the INTL BLK Radio Show. This is your host: Chief Boima. 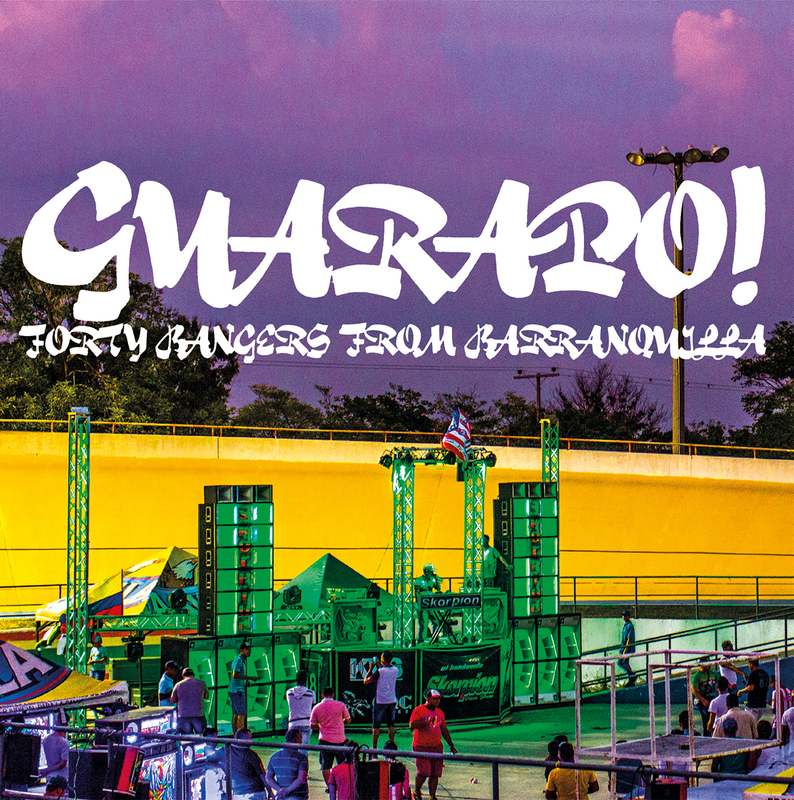 Today we are concentrating on Colombia, we are celebrating a release from Honest Jon’s records called Guarapo!, a style of music from Barranquilla. I’m working with Simone Bertuzzi, in Italy, Milan, building a radio show around the context of the Colombian coastal music. What you are listening to in the background is Calixto Ochoa Corazon Enamorado, which is Vallenato style. Vallenato is a popular music of the northern coast of Colombia. I should say that Colombia has always personally been a country that has attracted me, especially the Atlantic coast, because is one of the few places in the Americas that not only has a history of relationship to Africa – through the slave trade and the presence of people of African descent – but is also a place that has a very strong relationship with contemporary Africa in a special way. And that is largely through music. Cumbia and Vallenato, but also Bullerenge and Mapele, those are types of folk music and heritage with African roots, but also very popular in Cartagena, Barranquilla and Santa Marta are Soukous and Ndombolo, and even now Afrobeats of the Nigerian and Ghanian strain, and there’s even Ugandan music that I’ve heard there. So I’ll be running through a little bit of the history, the musical history of that connection, which is centered around a music called Champeta, and a culture called the Picos. The Picos are soundsystem parties in Barranquilla and Cartagena that specialize in playing Afropop music, we’re gonna go through. I’m gonna start with the early days, Wganda Kenyan track, you can tell by the name already the love for Africa. This is an artist from the 1970s doing music that to me it could have been popular in Sierra Leone, Ghana, or Nigeria at that time. This kind of Highlife/Calypso sound really reminds me of Afropop music from Freetown in the 1970s, groups like Super Combo and Afro National. This Wganda Kenyan artist always attracted me, but it wasn’t them playing [these] sounds, they were getting vinyls directly from Africa, Afropop songs such as Orchestra Super Mazembe, my favourite song of theirs is Shauri Yako. If there are any fans of rumba, this should be familiar. So Champeta music comes directly from Afropop music. 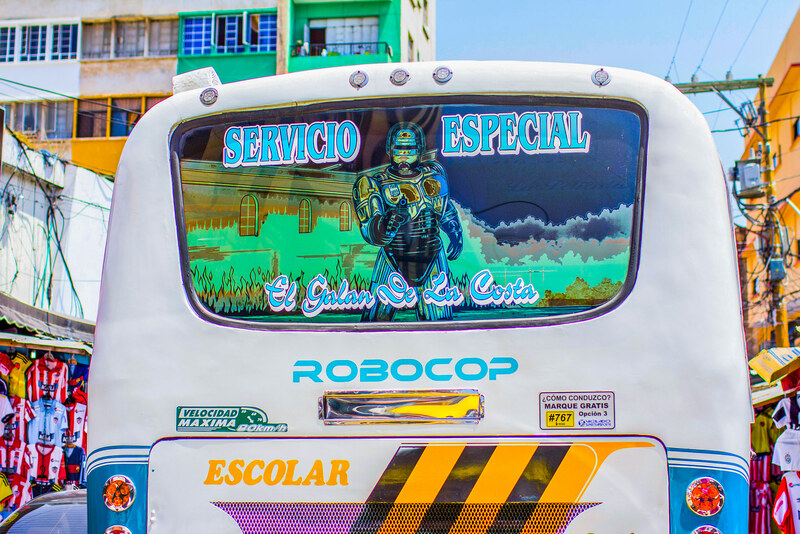 In the 1970s in the soundystems of Barranquilla and Cartagena there was African music being played alongside Salsa and Compas from Haiti, and Calypso; a kind of a real Pan-African pop stew happening in these working class towns at that time. A lot of the records came in via ships, as the story goes, sailers and enterprising people that would be able to go to different ports in different parts of the Atlantic world that would bring records back, created a really competitive culture for the local DJs, who get exclusive access to records, and they scrape the name off the records and change the names so other DJs wouldn’t know, so you get really great interpretative name for the tracks (which we’ll go over later). But the reason why I’m playing this song specifically is because it’s an example of how when the vinyl flow kind of dried up in Barranquilla, artists started to create their own versions of the music they were hearing. This is a song from Dogar Disc, from much later, I think the 90s, called Quedo en las tablas and this is a cover if you will of this Shauri Yako, it uses the same guitar line but it does it in a local Champeta style. Here we go. So this is a good example of the direct translation of Afropop music into Champeta. In Colombia they call this music Terapia, ‘Therapy’ music. 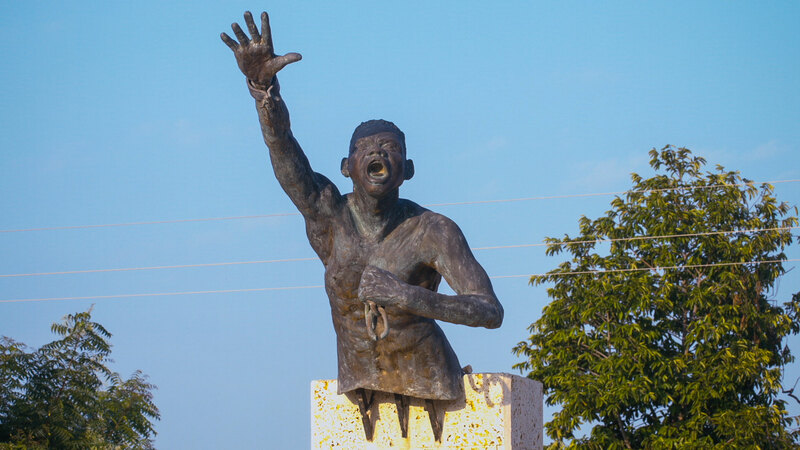 I would be remiss to not mention the importance of a town outside of Cartagena called San Basilio de Palenque, in the formation of this pride in Africa, and reconnection with Africa that people from this region have. San Basilio de Palenque is one of the free communities of African people in the Americas, they have their own creole which mixes Spanish and African grammar, just like Kreyol in Haiti, Krio in Sierra Leone or in Suriname or anywhere else in the Atlantic that has one. I’ll play some music from Palenque, because I think it’s really important to hear, as well as to know that this was an important touchstone for African culture of this part of the world. So this is Graciela y Las Alegres Ambulancias from San Basilio de Palenque. Graciela and the Happy Ambulances (Alegres Ambulancias), an example of Folk music from San Basilio de Palenque, but I wanna go back into some Champeta, I’m actually going to play a Terapia tune by Ntombi Daba, it’a an Afropop tune from South Africa, and this it’s called in Spanish La Propia Cebolla and in english Gimme a break. The reason why I’m playing this song is because I think it gives a good example of still using Afropop, but making it their own style, the Champeta style through the sampling and you’ll hear there’s somebody playing samples throughout the song of different animals or squeaks or whatever, and this is really an important part of the development of Champeta and the style – there will be sample DJs in all of the soundsystems playing chopped up samples. Some examples of Champeta songs, this La Mala Maña, I don’t know who the artist is. Before it was La Gallina Candor. All of these songs employ some kind of added percussions, the last two being Champeta Champeta, not covers of African or replaying African songs with Colombian percussion. If you want to hear more of this music, you should definitely visit Africolombia blog, Fabian’s work – he collects tons of vinyls from all over the world and writes about it and really gives you a sense of the context this music is coming out of. Great stuff. So if you do go to Barranquilla and you see the Picos and you’ll notice there are two kind of major schools of Pico: one is the old school, one is the new school. The old school might be smaller, might be totally run on vinyl – the new school would be more digital, CDJs, these kind of things, probably laptop DJs, and the sound is definitely different; the new school being louder – more kind of in your face. One of the ones I went to, the inside of the party was empty and everybody was out on the street, it was loud enough to carry down several blocks with that soundsystem. So I didn’t stay inside very long myself. What I find really interesting about this old school new school dichotomy is that it also applies to the Afropop that is allowed to enter into the space. So Premier Gaou might not be welcome at an old school, it definitely would at a new school Pico. There’s a lot more happening around other parts of the Caribbean coasts of Colombia, including an island called San Andrés, and Providencia, which is it’s neighbor, small islands. These are two islands between Jamaica and Nicaragua, in the Caribbean. The people there are mixed of different lingual groups and cultural groups, so they make a really interesting stew of cultures that include english speakers and patois speakers and the music reflects this of course: Dancehall, Calypso, they have their own Folk music. Around 2010 when I was visiting Barranquilla – I didn’t know at the time – there was a movement of Dancehall music, Jamaican influenced Dancehall music, growing at the time, making its way to Cartagena, and young producers like DJ Dever were picking it up and making their own Dancehall soundsystems in Cartagena; and the first time I hear about they were calling it Dancehall Cartagenero. This is Orange Hill playing, the song is called Christy – Calypso San Andresano. In fact when I was in Cartagena some people stop me and asked me if I’m from San Andrés; I have long dreadlocks, so to give you a sense of what they associates Cartagena Caribbean culture in San Andrés. Let’s play something a little newer. This is Nathy and Nady with Pa San Andres Entera featuring Jack Style and is produced by DJ Largo. I’ll do a little quick mix for you of San Andresano Dancehall. That was Rayo y Toby before this, Movimiento de Cadera. This is Jiggy D who’s voice you heard on the Dime Donde track. This to give you a taste of kind of digital music style that was growing. There’s actually a lot of digital music in Colombia in other parts too. 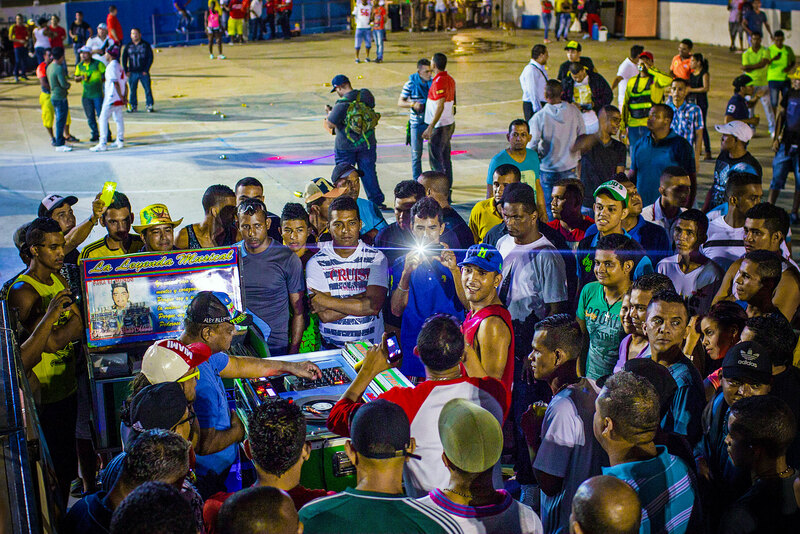 Cartagena, or better in the Atlantic coast there’s a group called Systema Solar, experimenting with Cumbia and Mapele, Champeta and those kind of sounds. Another band is Bomba Estereo, but this is really a kind of popular music that came out of San Andrés specifically, it’s not just one artist but digital studios with people working together and creating a scene that is very interesting and it did have an influence on Cartagena, so I’ll play a couple of Dancehall Cartagenero tracks, and if you go to Cartagena today you’ll definitely hear this music on the streets, or in the clubs, so here we go. This is Eddy Jey with Dancehall, produced by DJ Dever. I should note DJ Dever named is system Passa Passa Soundsystem after the Jamaican dance. Possibly via Panama, I wouldn’t be surprised, but maybe directly from Jamaica. 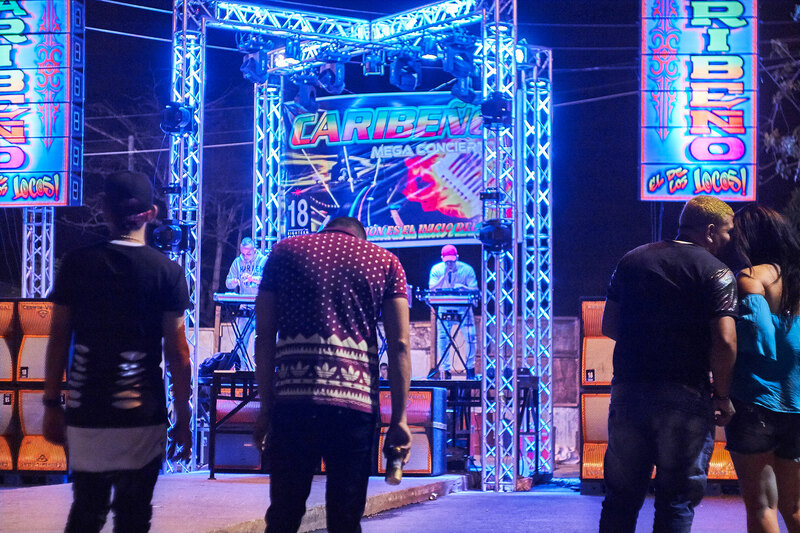 If you speak Spanish you might have noticed that they said this is a mix of Dancehall and Champeta, which is something DJ Dever works with Champeta artists as well as Dancehall MCs. He has a new song working with the kings of, or the legend of Champeta as they call it, which I came across on Youtube recently. Older artists like Dogar Disc, that I played before, he was working with him. So, there’s a lot of cross pollination between the two scenes, the two Picos, or the two styles of Picos. This is further proof Dancehall/Champeta, by Big Devis Soy tu traga. So I got to to take you to Uganda very quickly from Cartagena. This is Radio and Weasal, Ugandan Dancehall stars, remixed by a Cartagena DJ. This song maybe shows that part of the entrance of new school African music, Afropop into the Colombian coast may have come to a more open Dancehall Cartagenero scene, I’m not 100% sure about that but I can speculate that there was a bot of entrance, because I know that Dancehall coming from Cartagena was also being played in Barranquilla when I was there, even in 2010, but things were remarkably different in 2013/2014: contemporary Afropop was definitely more [part] of the daily scene walking around Cartagena; I remember walking down the streets, passed the club and hearing P-Square my last time there and getting really excited hearing more digital sounds coming out of cars and clubs. So this is an example of that. This next song is by Lil Silvio, another big artist out of Cartagena, y El Vega. I’m playing this one for a specific reason: because it’s co-produced by Chestom and Sky & Mosti. Sky & Mosti are also the main collaborators of the very famous J Balvin, who gets a claim as the representative of Colombian music today, without really recognising that there is a whole entire scene of diverse musics behind him. So as you listen to this, think of J Balvin and remember he’s not the only one, or even the best one in Colombia. Sky & Mosti are based in Medellín, but let’s go back to Barranquilla. 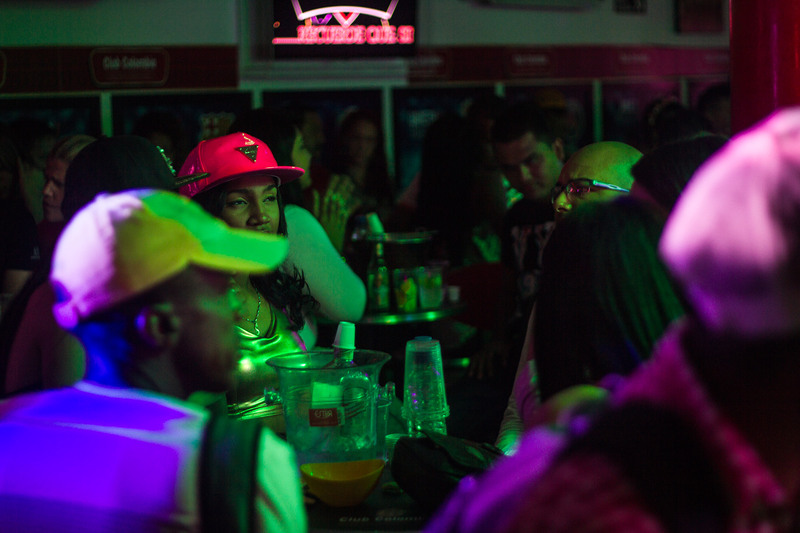 Barranquilla is really a special place to me, just because the soundsystem culture is, in certain areas is super ubiquitous, the music, the subculture feels like it’s a free, very popular culture still. In Cartagena unfortunately in my experience I notice quite a bit of gentrification in a lot of foreign money coming in and loosing a bit of the character of the local folk cultures. So Barranquilla is a special place in the Black Atlantic/Carribbean nexus still. I think I’m gonna kick off this next section with Barranquillero hip hop. This is interesting because it’s not necessarily related to Pico culture. I’ll let it play and talk about it after. I did check on Youtube and I noticed that Hip Hop in Barranquilla is a thing. They have a few rappers, some of them do cross over and join the Picos for Champeta style stuff, but I would assume that they’re mostly kind of separate cultures and especially the conservative nature of the old school Picos would keep I guess hiphoppers away, but you know, this is where Guarapo comes in, and is a really interesting thing, because it’s very experimental to outsider hears, very rough hewn loop based, sampling music. And while you think it might be hard to dance to, actually is impressive how popular it is, just like Trap or House, it’s very very… I don’t know what the word is. There is a groove I guess, how much the groove is there with the audience locked in with the DJ. I should talk a little about the Guarapo compilation that came in together: it started when Simone of Palm Wine went down to Barranquilla with Jim C. Nedd to do a documentary on the soundsystem culture in Barranquilla, they went back to Italy and approached Honest Jon’s about doing a compilation of tunes and the label came back to them with an offer to use songs from their catalogue to do new songs. Jim went down and did a workshop with three DJs: DJ Ander, Jeanpi Perreo and Edwin Producciones and created exclusive Guarapo tracks for this compilation. Some Guarapo that I had collected or come across before the compilation were really focused on Ndombolo from Congo, that are pretty much just straight looping of Ndombolo samples, and gives a sense of the direction that Guarapo came from in terms of sampling and looping. Let’s just start with a tune from the compilation. This one is Y Como? by DJ Ander. ◇ DJ Ander - Y Como? Ndombolo sounds, El Priki del vacile. A quick example of how it might sound out of a Pico, with an MC chatting over the top, like in Jamaica. Apropos it is a Jamaican Dancehall song, as the background. 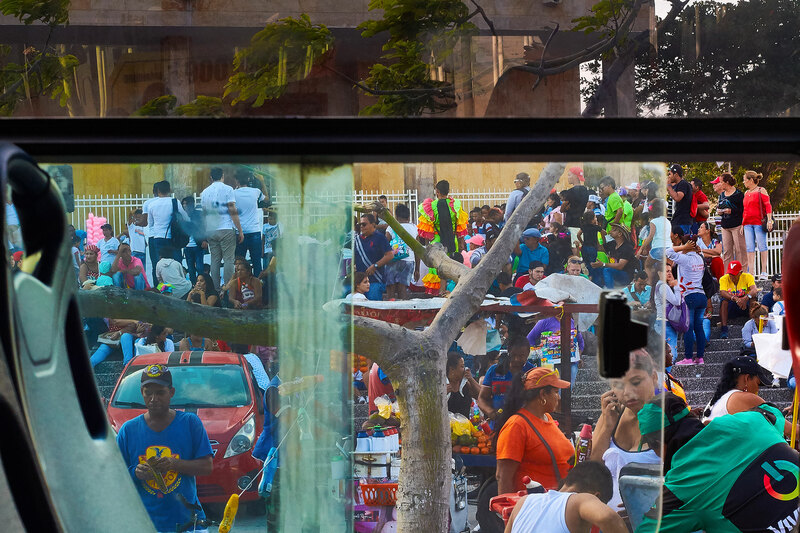 Close your eyes, imagine 95° and humid, an Aguila beer in your hand, you’re on the side of the street with a banging soundsystem, and you get yourself in Barranquilla. These are Guarapos from Barranquilla. Back to DJ Ander on Guarapo! Forty bangers from Barranquilla compilation. This compilation was put together with Honest Jon’s using licensed music from their catalogue or a catalogue that they had an access to. And the curators went back down to Barranquilla after visiting to work with producers like Ander, to produce the album. So this is all new exclusives, made just for this album, cleared and licensed. You can pick it up on vinyl. Also shout out to my guy Tally Bower who went down to Barranquilla with Simone and the team. Shout out to Sidney Reyes, homie down in Barranquilla who has a radio show, with whom I traded vinyls in the past. A couple of more Guarapos. One of my favourite memories of Barranquilla is just going past a Pico and seeing a bunch of young children singing along to Lingala songs. Another one is when a few weeks later after that visit Lokassa Ya Mbongo was coming to play in the local stadium alongside M’bilia Bel. It’s really amazing to see the relationship between Congo and Colombia, because of Champeta and this kind of exchange of musics. Cuba has a well documented influence on the Continent, so it’s great to see these other places. And the reverse, it’s good to see the reverse: from the Americas to Africa and from Africa to the Americas. I am Chief Boima, you are listening to INTL BLK Radio. Catch us on africaisacountry.com, Groovalizacion and Mixcloud. It’s been a pleasure, see you next time on INTL BLK Radio. Chief Boima is a Sierra Leonean-American music producer, DJ, writer, and general advocate for music-fueled digital youth cultures from around the world.